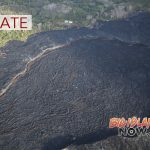 It’s no surprise that Hawaiʻi Island residents would like to see Kīlauea’s activity behind them, given its toll on lower Puna communities this summer. The Lower East Rift Zone (LERZ) erupted a volume of 1 cubic kilometer of lava and destroyed over 700 structures. Two-thirds of the erupted lava flowed into the ocean through the vigorous channelized flow from Fissure 8. The question was first asked in early August 2018, when summit collapses stopped and the volume of LERZ Fissure 8 lava diminished. But Fissure 8 wasn’t quite done. 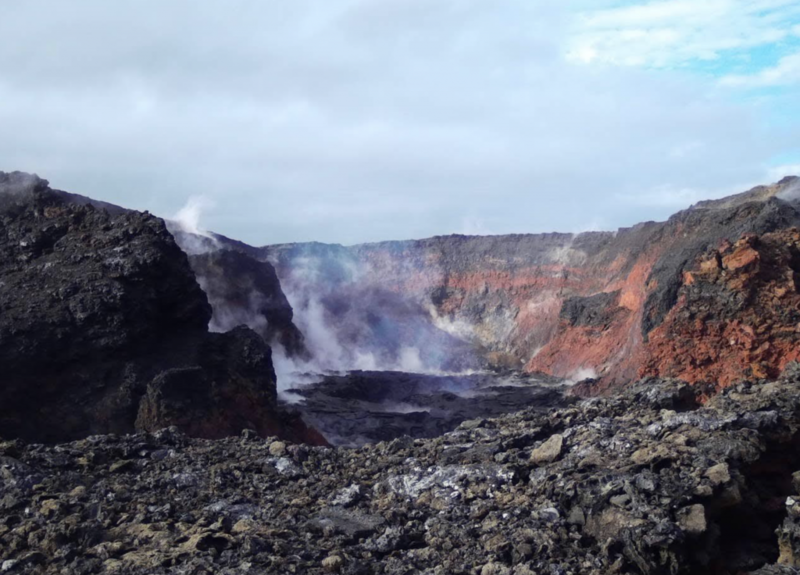 During Sept.1–4, one more appearance of lava occurred inside the cone before draining away completely. And now, Dec. 5 marks the three-month (90-day) anniversary of no surface lava activity at Kīlauea. This is a milestone for this summer’s eruption. 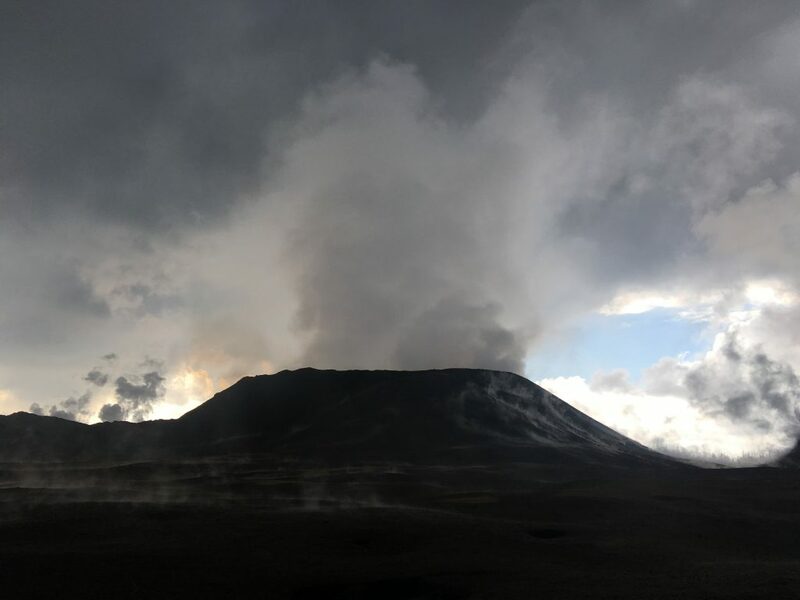 The Smithsonian Institution’s Global Volcanism Program (GVP) classifies the end of continuous volcanic activity based on an absence of eruptive activity over a three-month period. 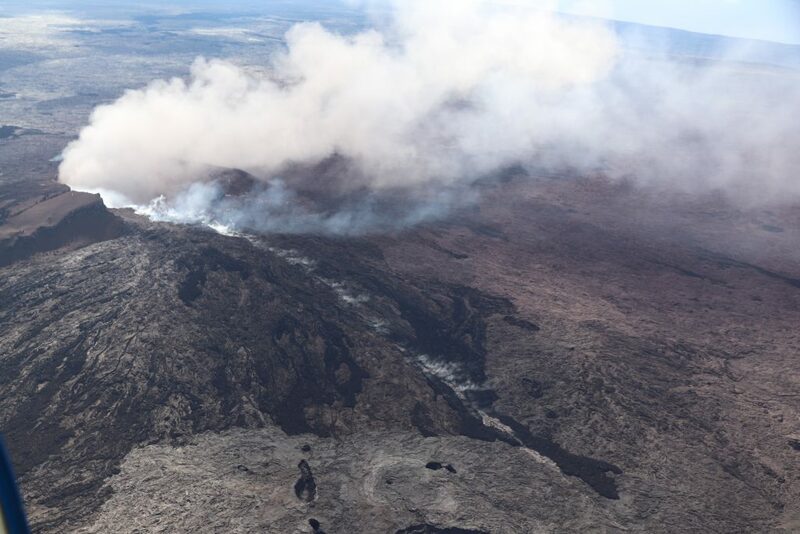 With this GVP criterion and no signs of imminent unrest on Kīlauea, the LERZ eruption could be considered over. However, magma is still being supplied to Kīlauea Volcano and geophysical datasets continue to show evidence for movement of molten rock through the magmatic system, including the refilling of the middle ERZ. It’s important to note that Kīlauea is still an active volcano that will erupt in the future and associated hazards have not changed. 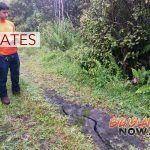 When a new eruption does occur, ground cracking, gas emissions, seismicity and deformation can rapidly change. But eruptive pauses have occurred in the past. There is one known example (Mauna Ulu, 1969–74) in which Kīlauea’s rift zone activity resumed after a 3½-month pause. And, while Mauna Ulu has had the longest known mid-eruption pause, other examples of long pauses occurred during the first three years of the Puʻu ʻŌʻō eruption. Breaks between 44 episodes of high lava fountains in 1983-1986 ranged from hours to 65 days long (two months). Six of those pauses were between one- and two-months long. All other known pauses during Kīlauea eruptions have been one month or less before eruptive activity resumed. All known temporal gaps on the rift zones lasting more than three and a half months have ended their respective eruption. 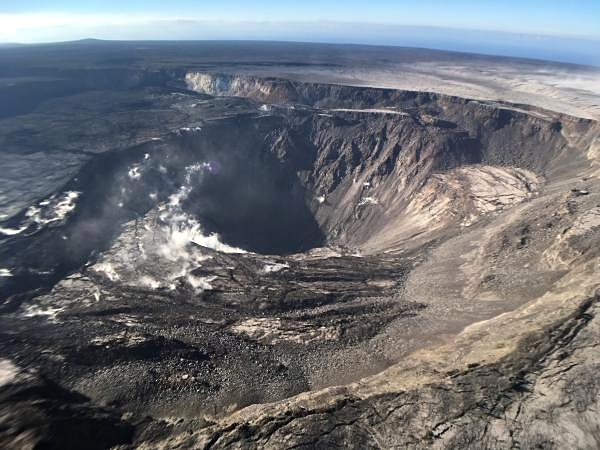 New eruptions would begin elsewhere on Kīlauea after months-to-decades of quiet. It’s difficult to know if Kīlauea inactivity lasting between one and three months is just a pause or the end of the eruption while we are in that 1–3 month window. The only way to know for sure is to wait and see, using hindsight to make the call.